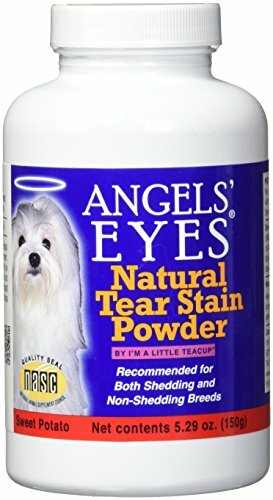 Angels' Eyes-Natural Supplement For Dogs. Extremely flavorful! Only Angels' Eyes helps give your pets tear stain free eyes and a bright coat! May help keep tear stains away by reducing oxidation released through tear ducts and may reduce the reddish brown colors that are binding with the animals hair. Recommended for both shedding and non-shedding breeds. This package contains one 5.29oz bottle of natural supplement. Comes in a variety of flavors. Each sold separately. For dogs and cats only. Made in USA. If you have any questions about this product by Angel's Eyes, contact us by completing and submitting the form below. If you are looking for a specif part number, please include it with your message.